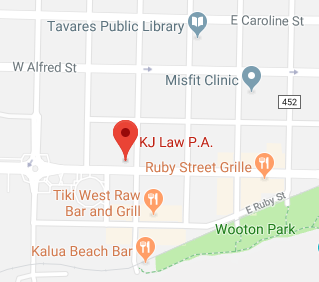 Law Firm in Tavares, Florida | Legal Services | K.J. Law P.A. The attorneys you want but hope you never need. We specialize in DUI offenses! K. J. Law P.A. provides legal representation to clients in and around the Tavares, FL area. 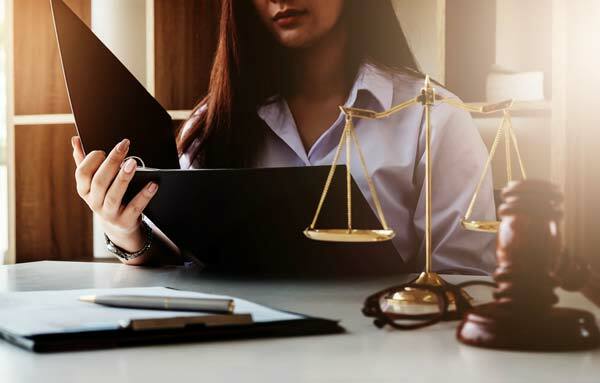 Our attorneys have formal prosecution experience and handle many areas of practice, including family law, divorce, mediation and criminal cases, as well as DUI/DWI cases. We understand the values of family and fairness, and will fight honestly and aggressively for you. When you’re up against a legal situation, it pays to have experienced, proven representation. The intricacies of law are many and every little detail counts. That’s why people throughout the region put their trust in K. J. Law P.A. Our law firm in Tavares, FL has a reputation for excellence and the veteran experience to assure you the outcomes you’re seeking. Whether you’re facing accusation of a crime or need to pursue justice for yourself, we’re here to help. We have a reputation for our aggressive pursuit of justice for our clients and pride ourselves in maintaining affordable rates that make us accessible to most clients. All of our attorneys are former prosecutors, giving us insight into what to expect when it comes to defending you and navigating your case. We’re a women-run business specializing in criminal law, family law and paternity law, as well as representation for DUI/DWI cases. We’re committed to helping you navigate your legal situation. From consultation to trial and beyond, we’ll stand by your side and see you through to the end. We offer free initial consultations, so don’t waste any time in contacting us as soon as you’re in need of a lawyer. Our legal services in Tavares, FL span the gamut. We specialize in numerous aspects of family law, including custody battles, paternity testing and child support, and more. We also handle domestic violence cases and advise our clients on filing injunctions, including restraining orders. For DUI/DWI cases, we provide the representation you need and the insight you want regarding your situation. And, we have a wealth of knowledge spanning a broad scope of misdemeanor and criminal cases. We can represent your best interests in just about any situation. Clients choose us not only because of our track record for success and our strong staff of attorneys, but because we take your case to heart and fight for your rights passionately. We believe in the power of the law and use our expertise to leverage it for your situation, ensuring outcomes that embody justice. If you’re facing allegations, charges or an important legal predicament, let us guide you through it. When it comes right down to it, we’re the lawyers you want, but hope you never need.